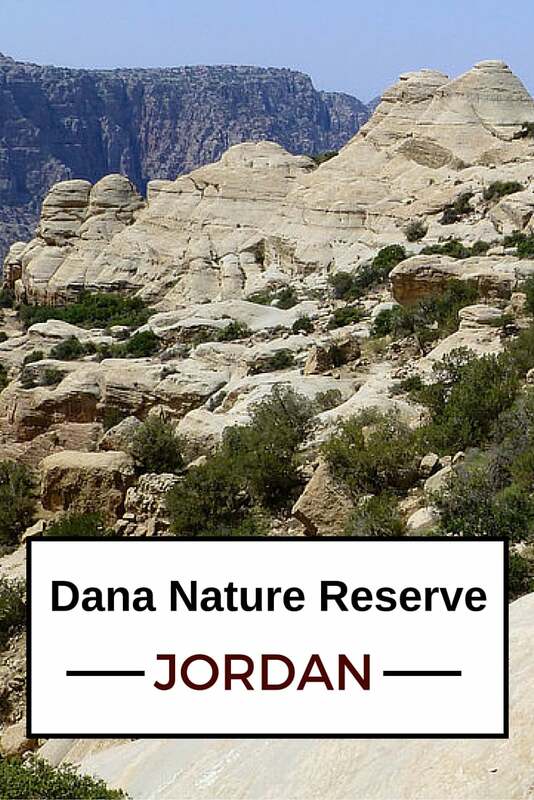 Discover the Dana Nature Reserve! 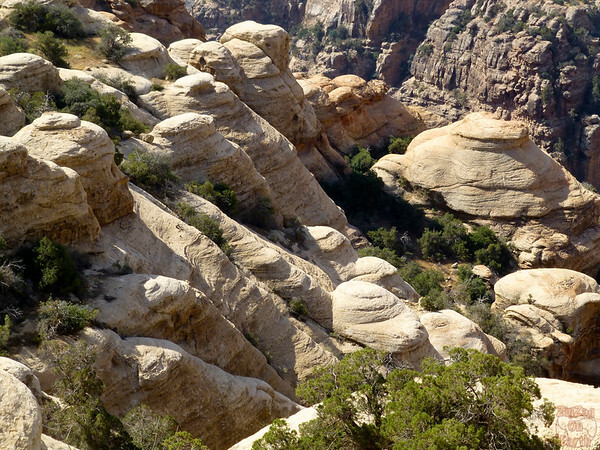 Jordan is famous for its magnificent ruins like Petra as well as its colorful desert Wadi Rum, but this lesser known place has a lot to offer. I only spent a night and half a day but I think it deserves a lot more time to discover all the trails and interesting rock formations. After the discovery of the ruins of Jerash early in the morning, we hit the road, direction the Dana Nature Reserve. 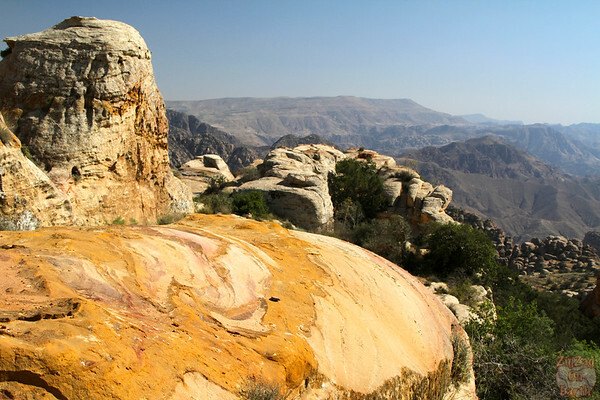 The hike and night at the Dana reserve was one of the reason I selected the tour with Terhaal, I wanted to spend time out of the cities and the touristic places. As I requested a few changes from the original tour I was going to sleep at the camp instead of the village which was a great idea (because I love camping). 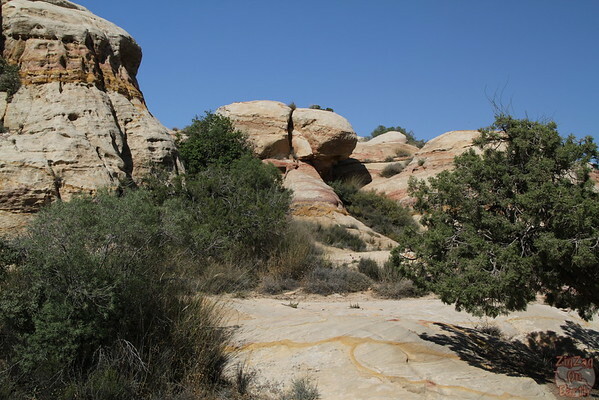 The Dana Nature Reserve is a great landscape to hike. 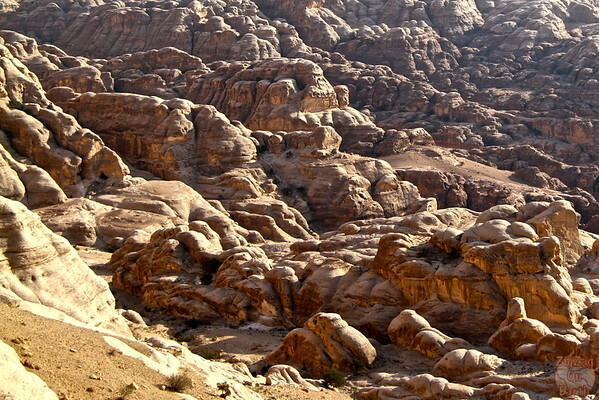 It stretched from the Sharaa mountains at 1800m to the dunes of Wadi Araba. My driver left me at the top of the reserve and a truck came and picked me up to drive me to the camping site. This area is beautiful and very quiet. The camping site is well isolated and I was really pleased upon arrival. 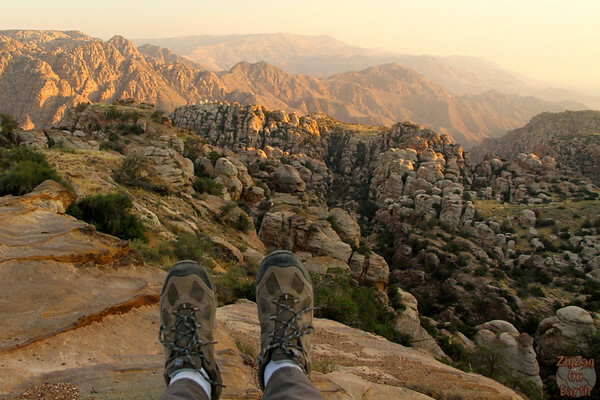 During my stay I completed the Rummana Mountain and the White dome trails. From Amman it is a 3 hours drive South on the Desert Highway. 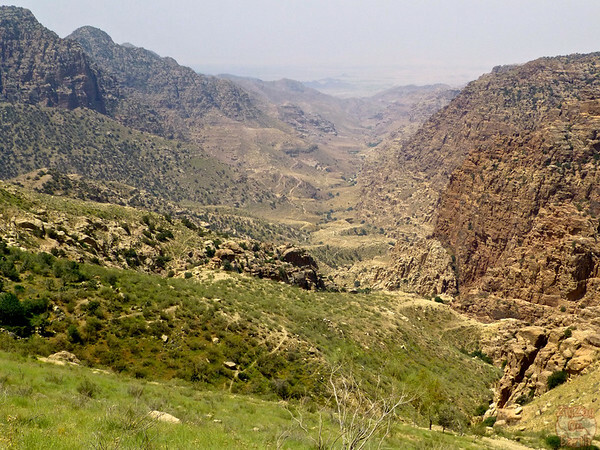 After 165km, at Al Husayniya village you will find the crossroad to the Dana Nature Reserve with 25km more km in the moutains. You can stay at one end of the WHite dome trail in a hotel in the Dana village or at the other end at the camping. 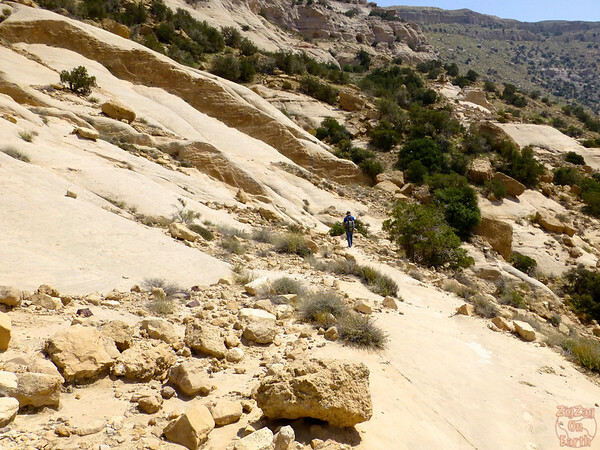 The Rummana Mountain trail is steep at the beginning and is rated moderate. It takes 2 hours to complete. Look for piles of rock to find the path. The reserve has some good documentation: RSCN (Royal society for the conservation of Nature) description of the trails; and the brochure. As I was early in the afternoon, I decided to do before diner one of the walk that is allowed to be done alone. This one is called Rummana mountain trail. It is rated moderate which I agree for the beginning section which is quite steep. It took me 2 hours to complete the tour and it provided great views in all directions. The rock formations and their colors made the steep climb easier. And once at the top it was just easy walking enjoying the scenery. 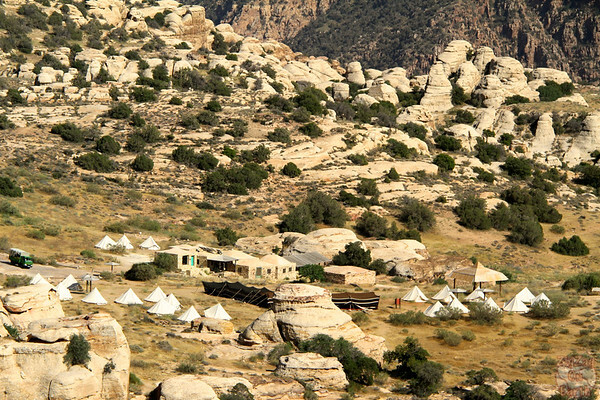 Back from the hike I rested a little in the big Bedouin tent. Later I decided to find a place to enjoy the sunset. The village of Dana is famous for its sunset view. The campsite however does not have a direct view of the sun setting. You can hike to a place where you can see it but then the walk back in the dark would be dangerous. So I decided just to walk a bit below the campsite and find a nice view point and it was great. 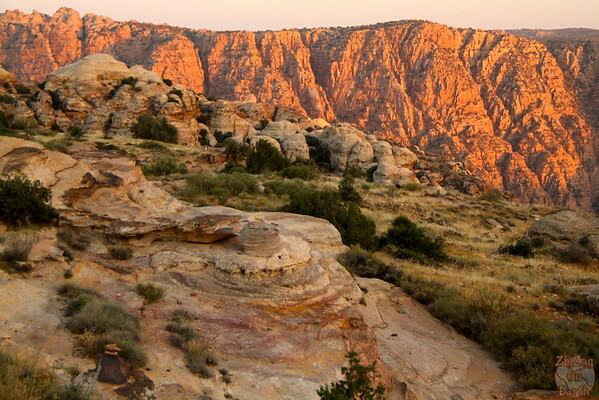 I sat on a big rock facing the domes and the cliffs across and I quietly admired the change of colors. This was a very peaceful moment. The view was a little bit similar to the sunset I saw over Petra but way off the beaten path. After this relaxing moment, I enjoyed a nice dinner with the other campers and spent an excellent night in my tent (especially as there was not muezzin call at 4am like I had in Amman). The next day, I walk up well rested and went to the same place for this time enjoying sunrise. Again I could not see it directly because of the mountains but the colors were softer than for sunset and it was an enjoyable moment. After breakfast, I had a guide organized for me to do the White dome trail. It is not allowed to do this hike by yourself. It starts at the campsite and go all the way to the village with amazing views of the domes and the valley. It is not too difficult and takes roughly 3 hours.The hardest is the sun, no shade at all and the fact that it is climbing at the end. If you have enough time and love hiking, I really recommend stopping! This is very quiet and nature is amazing. I got out very relaxed before the busy Petra. What do you prefer: history or nature? 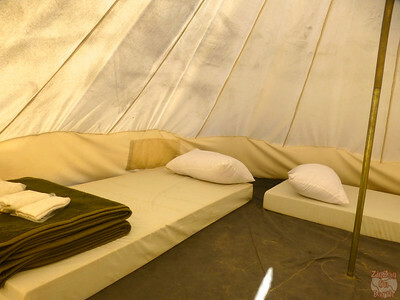 I would like to know how to book a night in the Rummana campsite (if needed) and how much does it cost. Indeed, I am going to Jordan in two weeks and I don’t want to miss this place. That is a good question. My night was book but the travel tour company.